SOLD!!! 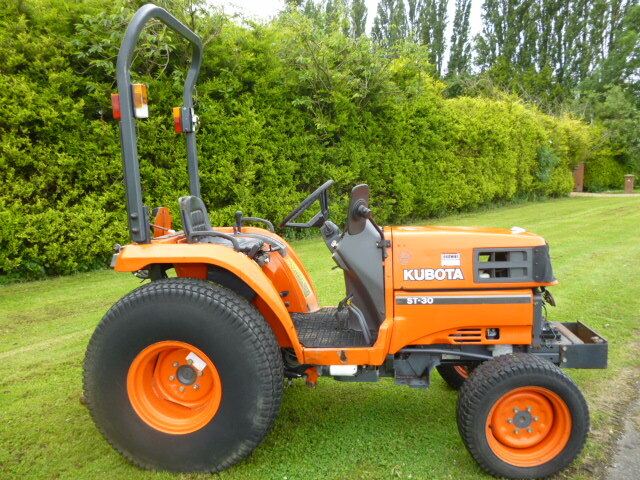 KUBOTA ST30 COMPACT TRACTOR 4X4 30HP SOLD! Brief Description: HOURS 2400. 30HP TRACTOR. DIESEL. 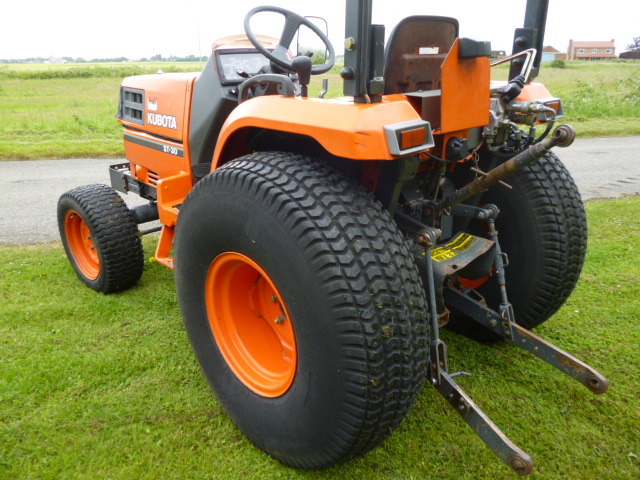 COMPACT ON TURF TYRES. HST. 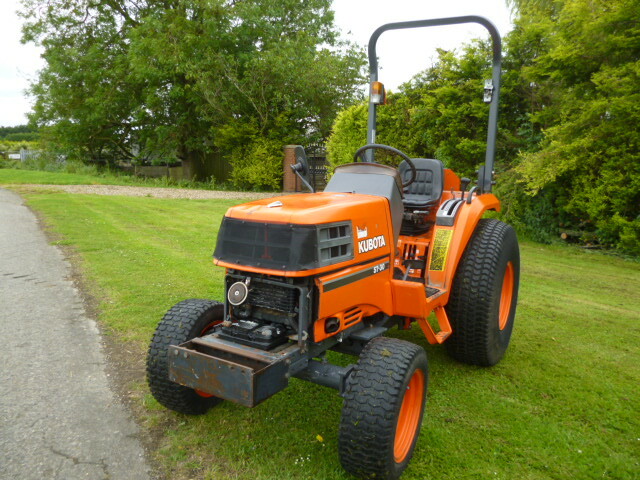 More Information: The Kubota ST30 30hp compact tractor is fitted with PTO, tor bar, hydraulic thee point linkage, spool valves, hydrotsatic gear box and is in good working order. 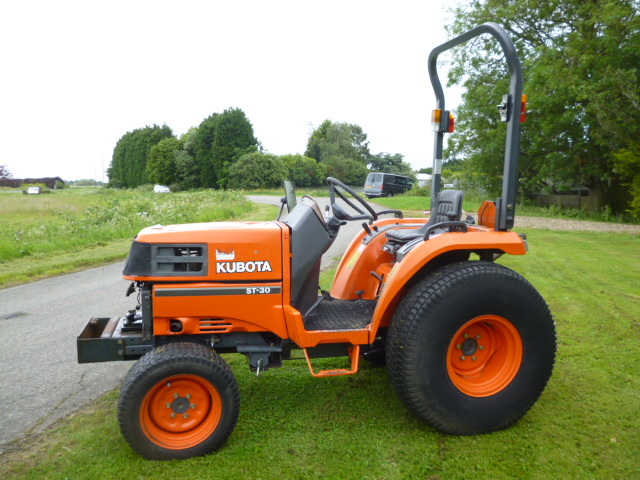 It looks like a characteristic Kubota compact tractor. But on sports fields and recreation grounds, it performs like a big 'un! Producing more power, more productivity and more profitability Never has such a small tractor generated so much power. • 29 (DIN) HP gives pulling power that's more than enough for the cylinder mowers. 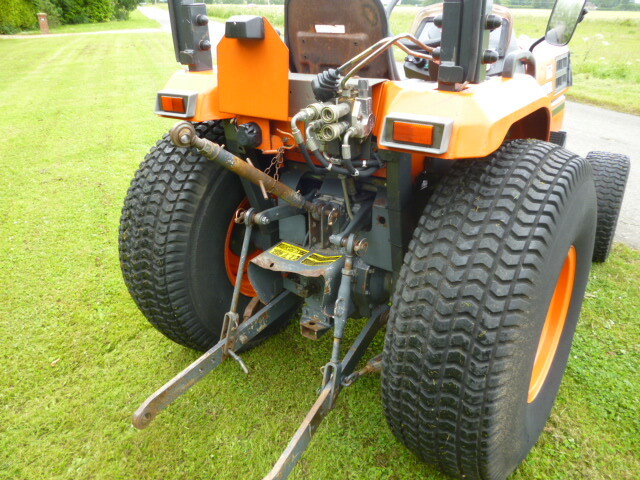 • The mid-mounted cutting deck cuts a broad swathe across the turf. • Flat deck access means more leg room for more comfort and operational convenience • Automatic Bi-Speed Turn and Hydrostatic Transmission means minimal turf damage and extra manoeuvrability and versatility when working in narrow spaces. • Tilt steering wheel adjusts to the most comfortable position for greater operator comfort and greater productivity. Never has a quart been so successfully squeezed into a pint pot. 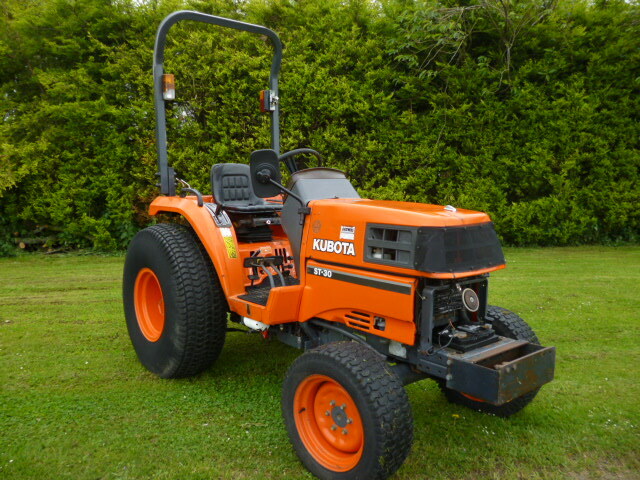 Available with a roll-bar or a European-designed Q Cab, the Kubota ST30 provides more power from a compact tractor.